Ideal for taking the whole family to Veyron levels of speed. 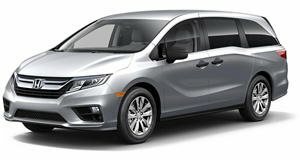 The Bismoto 2014 Honda Odyssey “Power Van” has been unveiled at the 2013 SEMA show, packing a veritable feast of powertrain modifications that combine to give the minivan a whopping 1,029 hp. These include Turbonetics twin turbochargers, Infinity ECU, cat-back exhaust, Arias pistons, Magnafuel 750cc fuel pump and Deatschwerks 2200cc injectors. Exterior mods are limited to a Rueda paint job, lowered suspension, Fifteen52 alloys, exhaust coatings, while inside the Odyssey gets Recaro seats and a Racepack digital dash.